Few serious runners want to let a running injury come between them and hitting the pavement. The best method is prevention, especially following a previous injury. By wearing proper footwear as you run, your shoes can help prevent shin splints from occurring or reoccurring. 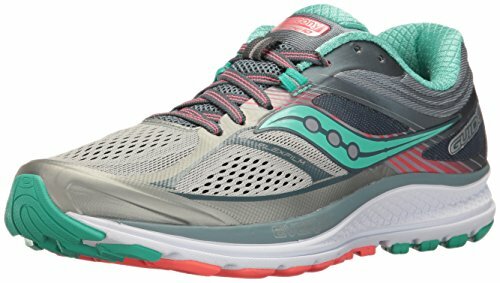 For us, the top pick for women’s running shoe for shin splints is the Saucony Women’s Guide 8 Running Shoe. It helps prevent shin splints with technologies like midfoot outsole pods that absorb impact and a full-length PWRGRID cushioning system that cradles your foot for stability and comfort. It has all the features that women with shin splints need and more. As an avid runner for the past eight years, I understand the toll that a high-impact activity like running can take on the body. I have dealt with stress fractures, muscle strains, and other common running injuries from running. This personal experience has given me the knowledge to evaluate running shoes for quality. I know what to look for in a shoe that provides the shock absorption and support that you need after struggling with a shin splint. By purchasing the right shoe, you are decreasing the chance of injury and preventing shin splints before they you’re your running routine. Shin splints often happen as a result of strain or compression on the shin while running, which is why this running shoe is superior to others for shin splints. The shoe has midfoot outsole pods and full-length, PWRGRID cushioning that absorbs impact and cradles your foot. It also has an SRC impact zone, which distributes energy through the shoe as it hits the pavement and makes the running movement more effortless. On the bottom of the shoe, the outsole has superior traction to prevent slippage that can cause injury. The grooves of the shoe help you spring forward while running and make the movement more natural, because of the heightened responsiveness and flexibility in the sole of the shoe. The upper of the shoe is made of mesh, which keeps your foot cool and dry. There is also a flared forefoot design that increases the amount of your foot that comes into contact with the ground. This boosts stability. The mesh upper is paired with a padded collar and tongue, which lends to more give in the upper so it conforms to the shape of your foot. Even though the shoe runs a little small, it also comes in wider varieties. If possible, try them on in a store before you buy them online. Something else to note is that some custom insoles may not work with the shoe, especially if they are tall or thick. The shoes can cause your toes or the upper part of your foot to rub on the top of the shoe with some insoles. 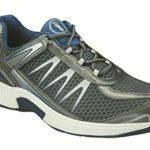 These shoes feature a unique rocker-style that helps guide your gait while running, allowing for a smooth transition from heel to toe and minimizing the impact that you feel on your shins. Inside the shoe, a CMEVA midsole spans the full-length of the shoe to increase stability and cushioning. There is also a seamless interior, which prevents irritation. The shoe is constructed with a thick rubber outsole that absorbs impact and an air mesh upper, that gives your feet ventilation while running and adds to the lightness of the shoe. Additionally, the Hoka One One Clifton 3 shoe is designed with a wide forefoot area that gives you the support you need to make each stride while you are running count. Comfort is another major factor in this shoe, because of the midsole and insole. It feels like you are running on a soft mattress, rather than slapping your feet hard against the pavement. Finally, if you are recovering from an injury, the stride that is required because of the rocker-style of this shoe makes it ideal for retraining your muscles when running. While the rocker-style offers a lot of advantages, especially when retraining your muscles after an injury like a shin splint, it also requires you to use different leg muscles than you are used to while running. This can make your legs sore the first few days as the different muscles are worked. The shoe also has a narrower fit, but it generally stretches to fit your foot after one or two runs. The shoe is also lacking slightly in ankle support, which might be important for someone with a shin splint. The tongue is also a little more firm than some other shoes, which can be irritating for someone with a high instep. Compared to the other running shoes for shin splints on this list, this pair of Adidas shoes are good quality but still affordable. A thick, rubber sole on the bottom absorbs impact while you run. The mesh on top gives nice air flow while you are running. 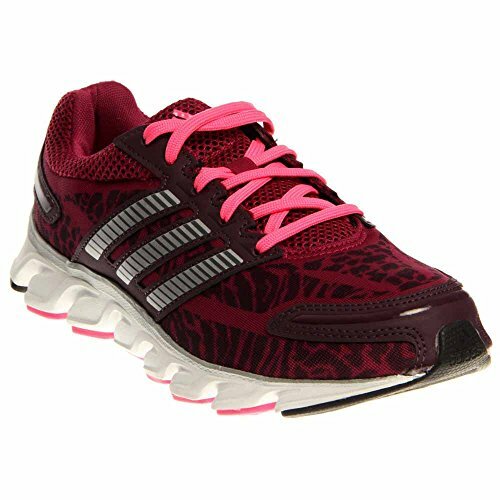 Inside the Adidas Performance Women’s Powerblaze shoe, there is a roomy toe box that lets you run with your toes spread. This increases your balance and gives better transfer of energy through the foot, which improves your gait. The shoe is incredibly lightweight, though it sacrifices some cushioning to achieve this. There is also a good amount of support in this shoe. There is good arch support and the plush tongue and collar give support to the ankle while you are running. While the rigidity of this shoe can be good for support, it can also cause pain or further damage if your shin splint is not completely healed. Additionally, the shape of the shoe is not a good fit for everyone. If the ball of your foot is especially wide or your feet are too narrow, your foot might slide around and develop blisters. The build of the shoe also is not of the highest quality. They will last a while, but the upper part might develop holes after six months to a year of intense use. The shoelaces are also a little cheap and short for running laces, but they are easy to replace. Support, flexibility, and improved balance are all benefits of this shoe. It is designed to prevent overpronation, which is a known cause of shin splints. 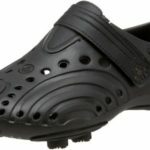 This is done using a roomy toe box that improves your balance, a mid-foot shank that stabilizes the center of your foot while giving range of motion in the ball and heal, and an energy shift from the design of the shoe. 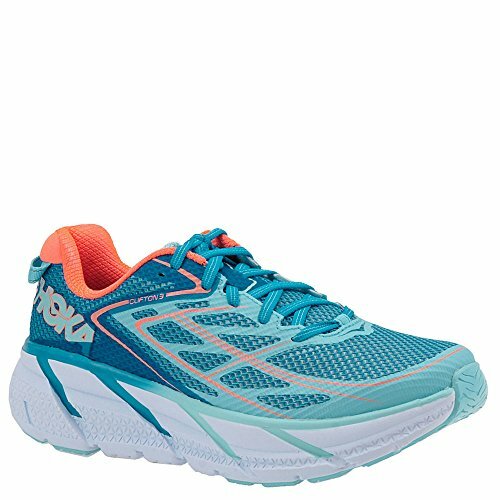 The energy shift that you feel wearing the Brooks Women’s Ravenna 7 Running Shoe makes running easy. It travels from heel to toe, created by the pods in the forefoot that respond to make each motion count. The Flextra rubber outsole adds to support and flexibility, designed to absorb shock while you run but still give you the flexibility for an easier running motion. The shape also helps provide great arch support. 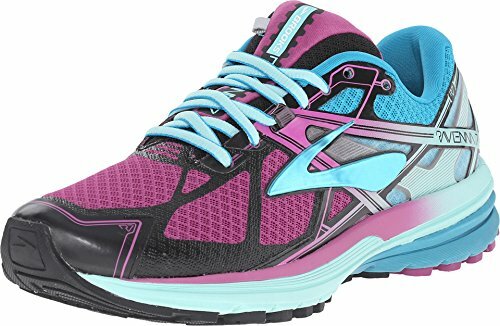 This Brooks women’s running shoe is also constructed with a foam insole that adds cushioning. It is removable, however, so you can easily switch it out for a custom orthotic. 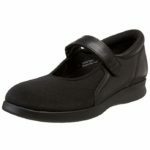 The top of the shoe is made of a mesh material that is designed to be breathable, while conforming to your foot to prevent blisters and provide support. It also wicks away moisture. There is a little weakness in the seams of the shoe, which might start to tear after months of heavy use. This would be disappointing after finding a shoe that helps make running with a shin splint easier. Another downside of this shoe is that the tongue is a little narrow. If your foot is too small for the shoe or the laces are not tight enough, the tongue might bunch while running. If this shoe is not a good fit for you, but you have a problem with overpronation, you can check out this article to learn about Nike shoes for overpronators, which are great for a wide range of athletic activities. 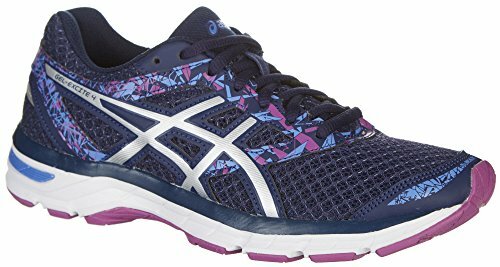 If you want durability without sacrificing the overall weight of the running shoe, this model from ASICS is a great choice. It has a high-abrasion rubber outsole that is designed to be more durable in high-impact areas. The front and rear of the shoe are designed with GEL cushioning systems, which help transfer energy through your foot as you run and decrease the vibrations felt from impact. Inside the ASICS Women’s Gel-Excite 4, the insole adds to the cushioning. It is removable, though, which makes this shoe easy to use with custom orthotics. 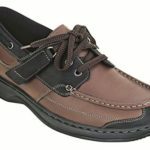 This shoe does not offer a lot of arch support, but it has a moderate amount that works well for some people. It does have good ankle support because of the thick padding in the ankle area, however. The mesh upper is flexible, so the shoe fits your foot better. Another notable feature is the reflective material on the outside of the shoe, which is perfect for early morning or late night runners. This is a shoe that should be tried on, because it tends to run short and narrow compared to ASICS old designs. This is caused by a narrowing of where the baseline is sewn into the shoe. Additionally, this shoe might not be a good choice for especially wide feet. If you cannot tighten the laces enough, the tongue will bunch up and become uncomfortable. Finally, while the flexibility is adequate for running, it is not good for sharp turns or some types of training. By carefully weighing this criteria and any negative points of the shoe, each shoe has a reason that it is better for shin splints than others on the market.